My husband joined AARP when he became eligible a few years ago. Since then, I stood on the technicality that he is the member and I have benefits as his spouse. Last week, though, I received my first senior discount. The woman at the museum was diplomatic as she looked at the four of us. “Is anyone in the group over 55?” she asked politely. Well, I’m the youngest in the group and we all qualified. Then again, a three dollar discount is three dollars saved, and I’ll take it. My mother refused senior discounts for years. She didn’t want to admit she was old enough to qualify. I’ll admit it; I qualify for senior discounts sometimes. And there’s the rub. Sometimes. There are all sorts of discounts out there. The harbinger was AARP. My husband qualified at 50. The museum senior discount was 55. Some places it’s 60 or 62 or 65. Unfortunately when we went to that really nice, really expensive golf course with the great senior rate, you had to be 65 to qualify. I supposed we could have lied about our age, but that just didn’t feel right. Besides, how embarrassing would that be to be caught? After all, we are old enough to know better! Checking http://www.aarp.org, I learned that members qualify for discounts at many stores and restaurants, most car rentals and major hotels chains, and on many other goods and services. You can join AARP when you’re 50. When I turn 62, I’ll get a discount on continuing education classes through the high school district. At our local community college, once I turn 65 I’ll qualify for a 100% discount on tuition if I register shortly before the class begins. In our area, seniors used to ride Metra free, but now pay a discounted rate. Amtrak offers a discount at 62. 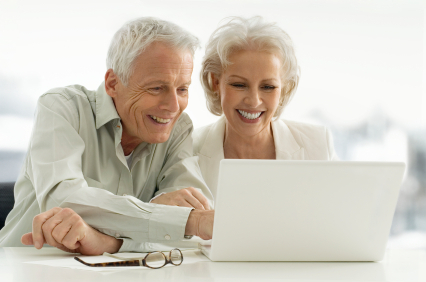 There are lots of websites out there dedicated to listing senior discounts and I plan to study them further. The one senior benefit I’m really looking forward to is the senior pass offered as part of the America the Beautiful national parks and federal recreational lands pass. Once Jon turns 62, he will be able to purchase this lifetime pass for $10. The pass will provide access to the parks for our vehicle and up to four people. It is honored at parks run by five different federal agencies: the National Park Service, Bureau of Land Management, Fish and Wildlife Service, USDA Forest Service and Bureau of Reclamation. Other than park admission, other benefits of the pass vary by the agency but can include discounts on amenities such as camping, swimming, boat launching, and guided tours. Looks like maybe we’ll want to buy a camper and tour the country once we qualify for our senior pass! This entry was posted in Family, Home, Seniors, Traditions, Uncategorized and tagged Seniors. Bookmark the permalink.